Explore the gorgeous Parvati Valley, take a dip in the hot sulphur springs at Kheerganga, meet the residents of Malana, and visit the charming villages of Barsheni and Tosh. The trek to Kheerganga is located in the achingly beautiful Parvati Valley in Kullu, Himachal Pradesh. Surrounded by towering Himalayan peaks, with lush greenery and the sparkling Parvati River, this region is truly gorgeous. It is the perfect setting for an easy trek, just right for beginners to get their first taste of trekking in the Himalayas. There are many short treks in Himachal Pradesh that are suitable for fit beginners, with durations between 2-5 days. Check our list of Short Treks in Himachal Pradesh for details. There are plenty of trekking trails in the forests around Parvati Valley, and travellers flock here for the relaxed vibe and the hot sulphur springs. The Kheerganga trek starts from Kasol or from Barsheni village, which is where the Parvati and Tosh rivers meet. You’ll walk along the top of a ridge, negotiating tricky descents, crossing a gorge, and walking beside the gushing river. En route, you’ll stop at the Shiv Temple and the Rudra Naag waterfall which is shaped like a snake, as well as seeing the villages of Kalga and Pulga. The Kheerganga-Malana trek will take you past ancient shrines and rocky outcrops, to the unique village of Malana. Malana is the oldest village in the state of Himachal Pradesh, nestled between the peaks of Chandrakhani and Deo Tibba. It is infamous for its cannabis production, but is also interesting for other reasons. The locals believe themselves to be descendants of Alexander the Great, and run their own democracy, speak a language known only to themselves, and fiercely guard their culture against outsiders. Outsiders are not allowed to touch the homes, or enter the inner areas of the village. You'll get to see a lifestyle and a belief system that is different from anything you've seen before. You’ll also pass Manikaran, which is as beautiful as it is holy. Here you’ll get a chance to swim in the hot springs at Manikaran Sahib Gurudwara. 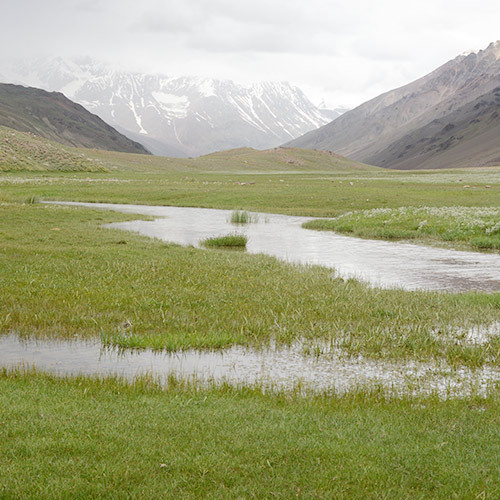 There are numerous treks to the small villages in Parvati Valley. Kasol is the start point of many of these treks, and is a famous destination in itself. Filled with Israeli cafes and backpackers, as well as funky souvenir shops, the main street of Kasol has a colourful, hippie vibe. Trance parties are common here, and there are usually crowds of tourists. However, as you leave Kasol behind for the upper reaches of the mountains, you’ll start to see the real beauty of the place. The Kasol-Kheerganga trek: The trek from Kasol to Kheerganga is suitable for fit beginners. It’s a 7 hour climb up a fairly steep ascent, but you’ll end the day in the welcoming warm water of the sulphur springs. The Kasol-Grahan trek: If you’re an absolute beginner, choose the Grahan trek as your first experience. Grahan is a small, charming village about 10 kms from Kasol. It is far less crowded and still has its traditional wooden houses and narrow paths. The village is famous for its wild honey, and is a haven for those looking for a quieter adventure. 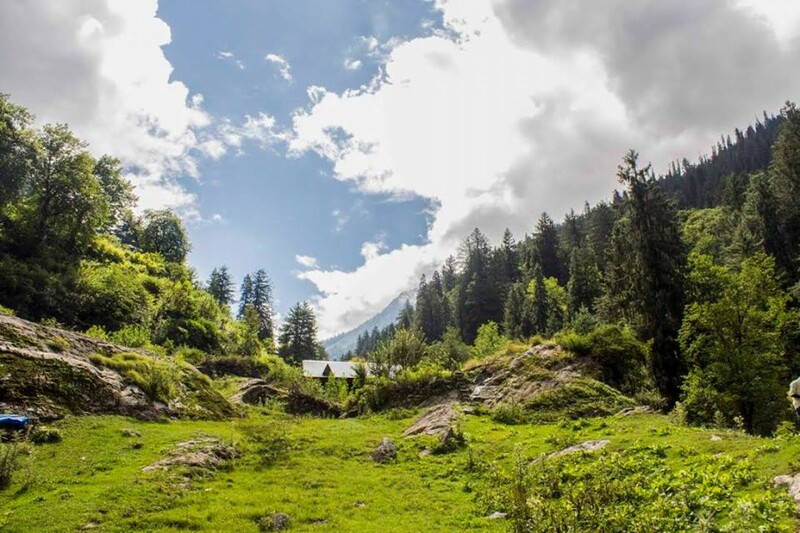 Treks around Kasol: If you prefer the vibe of Kasol, you can make it your base camp for a few days and do some day treks from there. There are easy treks to Tosh and Chalal, between 2 and 4 hours away from Kasol. You’ll spend the day rambling through the beautiful forests and along the Parvati River, and will return to a crackling campfire and a hot meal at night. 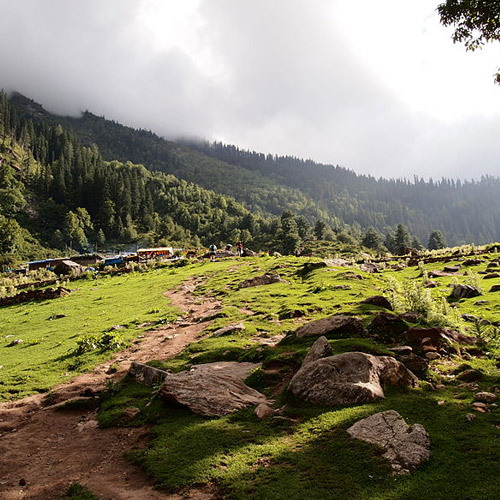 The Kheerganga trek is one of the top summer treks in India. Between April and June, the summer is beautiful in the Parvati Valley. The skies are clear, the streams and rivers sparkle in the sunlight, and wildflowers dot the slopes. The weather is pleasant during the day, and can get chilly at night. This is the best time for the Kheerganga-Malana trek. The Kasol-Kheerganga trek is one of the most iconic treks in Himachal Pradesh. It offers a short 2-day trek that beginners will enjoy (although it can be a bit steep), and takes you through gorgeous pine forests and along the Parvati river. 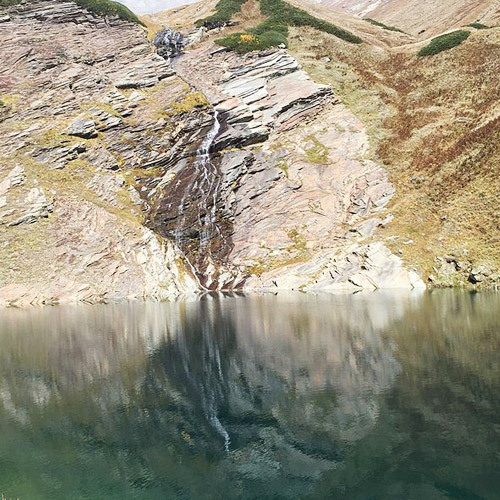 You'll stop at the famous serpent-shaped Rudra Nag waterfall, and walk through the quaint villages of Kalga and Pulga, and finally arrive in the meadows of Kheerganga. After a long 7 hour climb, the natural hot springs of Kheerganga are the perfect way to spend the evening. After that, it's time for a bonfire and a hot dinner, before heading to your tent for the night. Beginning in the bustling markeplaces of Kasol, this 2-day short trek will take you to the charming forests of Kheerganga. En route, you'll visit the serpent shaped waterfall at Rudra Nag and dip your feet in the natural hot water springs at Kheerganga. With beautiful views of the Parvati Valley, the trail to Kheerganga twists through mountains covered with evergreen grasslands and rich forests. At night, you'll sleep in tents pitched at campsites that offer stunning views of peaks in the Pin Valley National Park. Grahan is the less commercial cousin of Kasol, and is a refreshing break from the many tourists who come seeking peace. 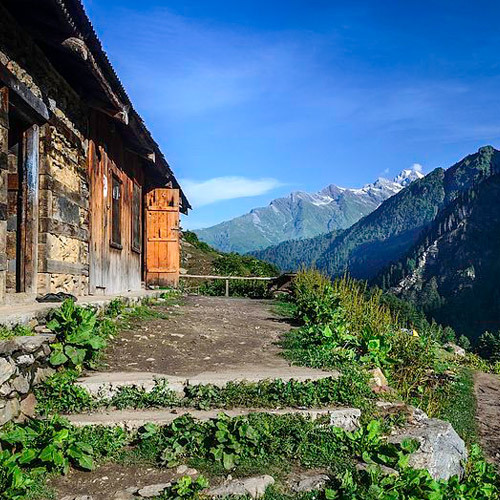 This magical village lies deep in the heart of the Parvati Valley, and offers you a chance to see how a true Himachali village lives and works. As you leave Kasol behind, you'll begin to feel the solitude. Pine forests line your trail and the Parvati river keeps you company while you walk. The village is known for its honey, gathered from the wild and will be sweeter and more fragrant than any honey you've ever tasted in the cities. Personal expenses including telephone calls, laundry, tips, portage/ mules charges, etc. 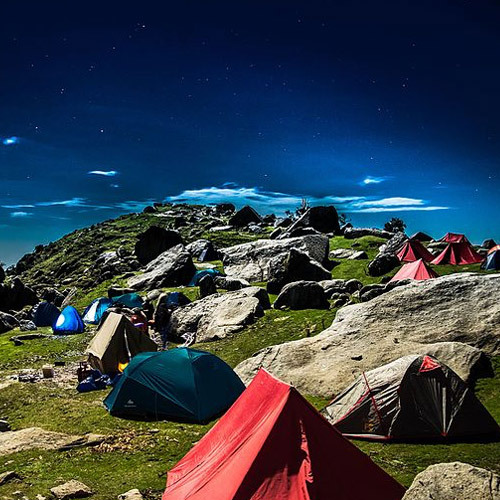 If you are looking for an adventure where the journey is as rewarding as the destination, then this trek to Kheerganga is the perfect one for you! Over two days, you'll traverse some stunning landscapes, see pine forests, green meadows, and waterfalls as clear as crystal. And finally, at Kheerganga, you'll be able to take a soothing dip in natural hot water springs at the altitude of 12,990 feet. This beautiful 5-day adventure takes you into the breathtaking forests of the Parvati Valley. 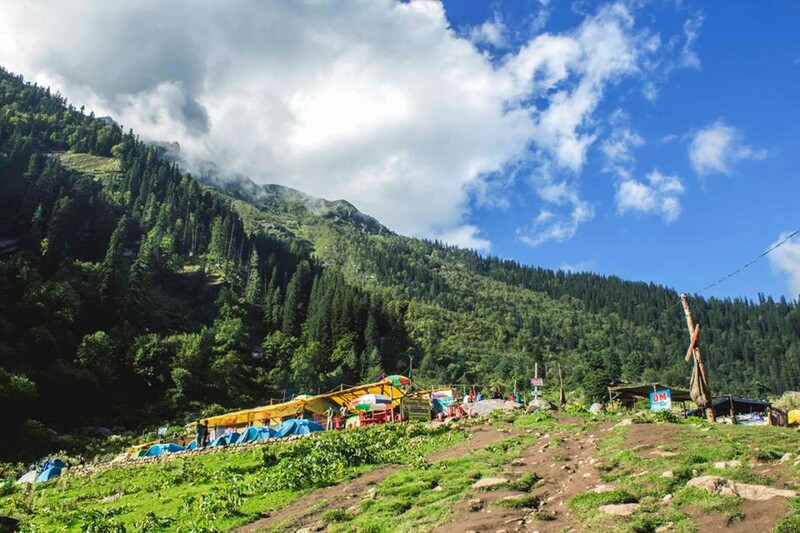 You'll see Barshaini, Kheerganga, and Kasol, and you'll also visit the serpent-shaped Rudra Nag waterfall and take a dip in the natural hot springs of Kheerganga. One of the highlights of this trip is the gorgeous campsites: a riverside campsite in Kasol, where you'll fall asleep to the sound of the Parvati river; and a campsite in an alpine meadow in Kheerganga, where you'll wake up to spectacular views of the mountains all around. 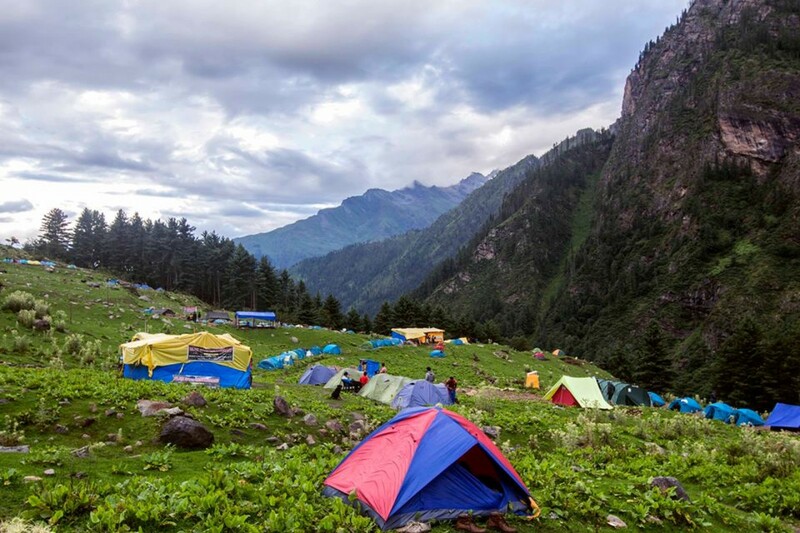 On this trek, you'll start from Kasol, and trek to Chalal, returning to your riverside camp in Kasol by evening. Next morning, you'll take a bus to Barshaini, where your trek to your Kheerganga campsite begins. Your trip ends in Kasol, leaving you free to stay on or head home. 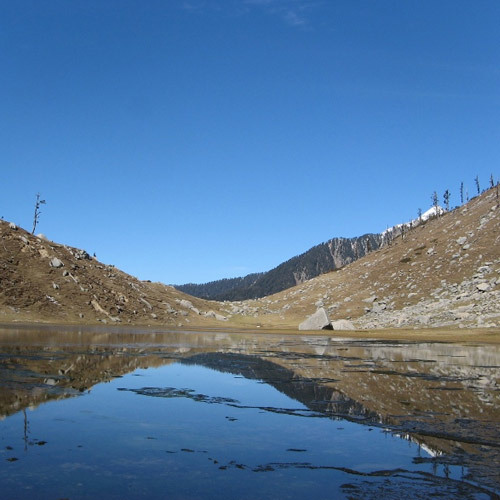 On this exciting 3-day adventure, you'll trek to the villages of Chalal and Kheerganga. Travelling in the multicoloured mountains of the Parvati Valley, you'll embark on routes that will take you up to an elevation of 9,700 feet. You'll cross wooden bridges over rivers, trek through sprawling apple orchards and visit waterfalls en route to Kheerganga, where you can dip your feet in the natural hot water spirngs. At night, you'll sleep in tents pitched at campsites that offer stunning views of peaks in the Pin Valley National Park. 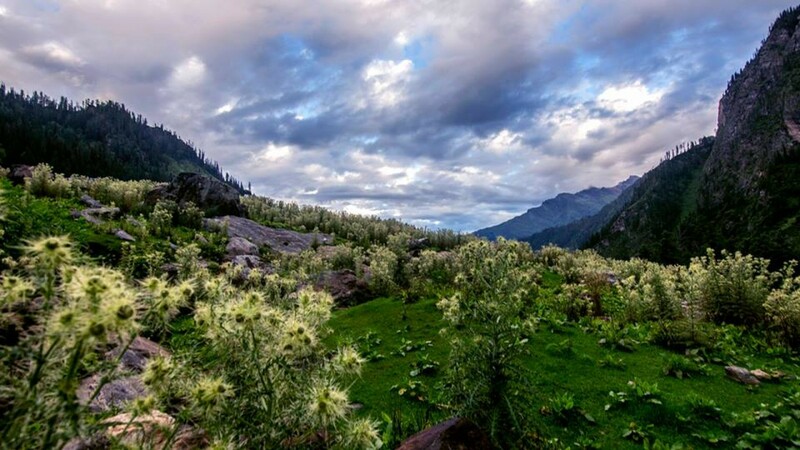 On this 3-day trek from Kasol, you'll hike to the lush grasslands of Chalal and Tosh. During the day, you'll trek through dense forests, cross wooden bridges over rivers and visit waterfalls. At night, you'll sleep in tents pitched at campsites that offer stunning views of peaks in the Pin Valley National Park. The Kheerganga-Tosh trek takes you through dense forest cover, over rickety bridges that criss-cross the Parvati river, and to the charming Tosh village. Barshaini is the start point for the trek to Kheerganga. 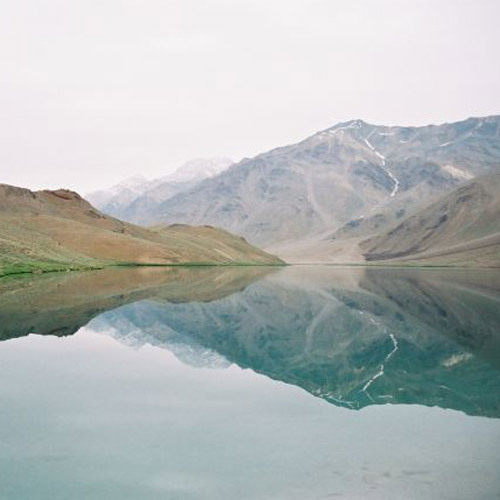 You'll spend a night at Kheerganga, enjoying the evening with a dip in the healing hot springs. After that you return to Barshaini and set off in another direction towards Tosh. 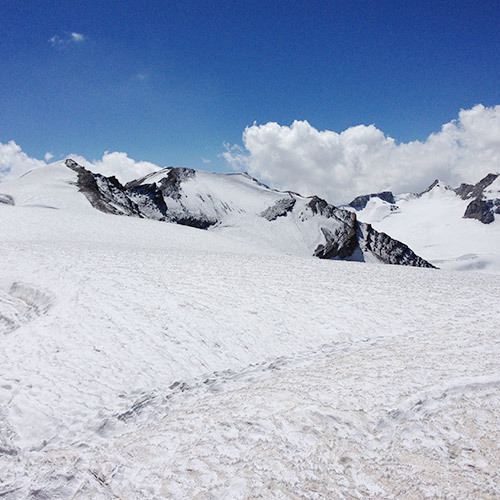 The trail lies at the foot of towering snow-capped mountains. You'll camp here for the night. NOTE: You can leave your extra luggage at the base camp in Kasol and carry only the essentials for your Kheerganga-Tosh trek. There is no charge for this service. On this Tosh Kheerganga trek, you'll begin your adventure from Kasol and trek to the evergreen meadows of Chalal, Tosh and Kheerganga. 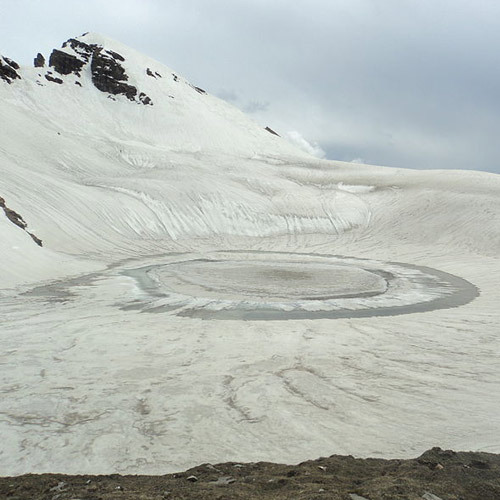 A 4-day hike through lofty mountains of the Parvati Valley, this trek will take you up to an elevation of 7,900 feet. En route, you'll visit the serpent shaped waterfall at Rudra Nag and dip your feet in the natural hot water springs at Kheerganga. At night, you'll sleep in tents pitched at campsites that offer stunning views of peaks in the Pin Valley National Park. Can beginners do the Kasol to Kheerganga trek? The trek from Kasol to Kheerganga is about 7 hours long, and involves some steep ascents. Fit beginners will enjoy the route, but for absolute beginners or those who can’t walk for so long, a shorter trek might be more suitable. You could choose a trek to Chalal or Tosh instead. What is the packing list for the Kheerganga trek? Your operator will provide you with a packing list for your trek, so do make sure you check it carefully. It is advisable to dress in layers, so that you can keep warm as the temperature drops in the evening and night. You should carry a water bottle, some dry snacks, and a cap and sunglasses in your day pack. What else is there to do in Kasol? There are a few easy day treks around Kasol that are great for beginners. You can head to Chalal or Tosh from Kasol, making your way through the forest along narrow trails. It’s a beautiful trek, and will give you a chance to see the traditional wooden homes and meet the friendly locals of these villages.